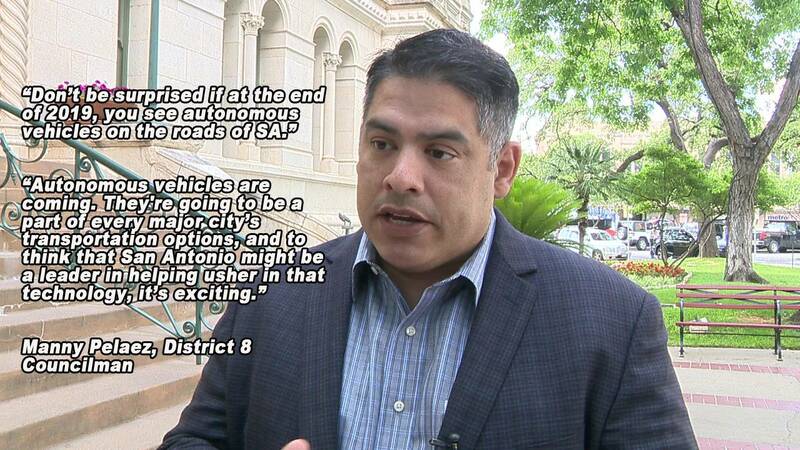 SAN ANTONIO - The federal government has approved the use of a designated area of Fredericksburg Road for testing of autonomous vehicles in the Alamo City, District 8 Councilman Manny Pelaez said. A proposal went before the City Council on Wednesday for approval to move forward with submitting a request for information to give the leaders more facts about autonomous vehicles. The RFI must be submitted before leaders are able to begin taking bids to draw in companies that want to test autonomous vehicles, which could happen sometime next year. Today, there are no fully autonomous vehicles available commercially; however, many forms of automated vehicles have been tested for years, a memo from the city of San Antonio said. Level 0: No automation - The driver performs all driving tasks. Level 1: Driver assistance - The vehicle is controlled by the driver, but some driving assist features may be included in the vehicle’s design. Level 2: Partial automation - The vehicle has combined automated functions, such as acceleration and steering, but the driver must be engaged with the driving task and monitor the environment at all times. Level 3: Conditional automation – The driver is a necessity but is not required to monitor the environment. However, the driver must always be ready to take control of the vehicle at all times with notice. Level 4: High automation – The vehicle is capable of performing all driving functions under certain conditions. The driver may have the option to control the vehicle. Level 5: Full automation – The vehicle is capable of performing all driving functions under all conditions. The driver may have the option to control the vehicle. The memo states that the highest level of automation available commercially is the 2018 Audi A8, which is able to operate at Level 3, or conditional automation. Tesla’s Autopilot and Cadillac’s Super Cruise can operate at Level 2, or partial automation, the memo states. It may take two or three more years for Level 5 automation to become available, the memo states. Several companies have begun testing at higher levels of automation in other cities across the U.S., which are unavailable for consumers at this time.